Among the most damaging government documents released on the Flint water crisis in recent months were emails showing that aides in Gov. Rick Snyder’s office had serious concerns about Flint water well before the state took emergency action to protect residents. This past weekend, the state released over 10,000 additional pages of internal communications, including emails involving others within the governor’s inner circle. 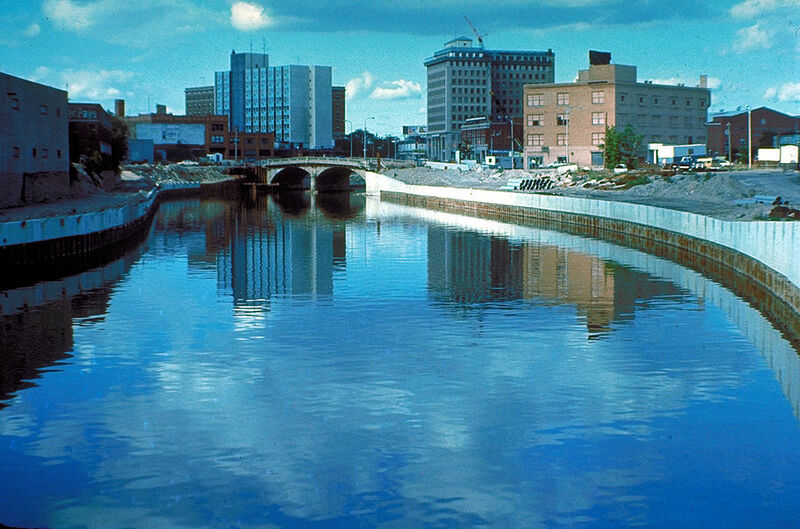 Much of the conversation focuses on the ill-fated decision to switch the city’s drinking supply to the Flint River in 2014 after decades of receiving water from Detroit. Snyder deputy legal counsel Valerie Brader stressed the need for urgent action on Flint’s water supply in 2014. At the time, Flint residents had been complaining about the water for months. A day earlier, General Motors announced it would stop using Flint River water because it interfered with the manufacturing process. Flint had issued boil water advisories. And there were growing concerns about the amount of chemicals Flint needed to use to treat the river water. “I see this as an urgent matter to fix,” Brader wrote. Gadola responds 12 minutes later to everyone on Valerie Brader’s original email string. “Can you guys step into this?” Muchmore, Snyder’s chief of staff, asks state Treasury Department officials the same day Brader and Gadola raise their concerns. And so begins months of high-anxiety meetings and on again, off again brainstorming by the governor’s chief of staff. But a wicked mix of financial, public perception, communication, policy and political problems vex Muchmore and those around him at every turn. This latest batch of emails builds on communications involving Muchmore that were released weeks ago. In the earlier releases, the Snyder aide at times expresses empathy for frustrated Flint residents and at other times shows bewilderment that activists and public officials would even blame the state for the unfolding water crisis. At one point in the newly released emails, Muchmore explores a reconnection to Detroit drinking water. Treasury officials and Flint’s emergency manager’s office warn it would be very expensive, and raise Flint’s already sky-high water rates by 30 percent. And city residents keep drinking Flint River water. Muchmore explores interim bottled water and water filter distribution ideas and makes only limited progress. But the city of Flint and Michigan Department of Environmental Quality continue to insist the Flint drinking water meets safety standards. He chides state agency heads in summer 2015 by saying, “I’m frustrated by the water issue in Flint. I really don’t think people are getting the benefit of the doubt.” Bureaucrats scurry into action but report back that the drinking water still meets standards and there’s no evidence connecting Flint drinking water to elevated blood levels in children. Not until independent water quality and health experts refute state-agency deflections in fall 2015 does the Snyder Administration begin to take emergency action to stop lead in Flint’s drinking water. Agen, who replaced Muchmore as Snyder’s chief of staff in January 2016, receives an email last March about a brewing Legionnaires’ disease crisis in Flint – and questions about whether the outbreak is linked to Flint drinking water. (Agen told reporters on Friday that he never opened that email). On March 16, 2015, MDEQ Communications Director Brad Wurfel copies Agen on a three-day old message Wurfel originally wrote to Snyder’s urban affairs aide Harvey Hollins and MDEQ Director Dan Wyant. “In December, our staff became peripherally aware that hospitals in Genesee were seeing an uptick in Legionnaires cases,” Wurfel wrote. Much controversy ensues in coming months as local, state and federal agencies debate the seriousness and extent of Legionnaires scare – and question without resolution whether Flint drinking water is linked to the outbreak. Nine months later, in January 2016, Snyder publicly announces the Legionnaires’ outbreak and tells the public nine people have died from it. The governor also says that he hadn’t personally heard about the problem until just days before. Update on what the city is doing. Update on what County Health Department is working on. Discussion of what we might all do next. Again, the Legionnaires’ issue doesn’t become public until the governor announces it nine months later. “This is a public relations crisis – because of a real or perceived problem is irrelevant – waiting to explode nationally,” Adler emails Agen. Adler may very well spend most of the rest of his tenure with the Snyder administration answering that and related questions about the Flint water crisis. As of last Friday, he is the governor’s new communications director. Ms. Brader evidently isn't a fan of government openness and transparency if she reminds folks to not email DEQ because then the info can be FOIAed. Also, I'm surprised when Mr. Murray told a reporter to get an answer from Mr. Wurfel because he is an expert on some of the technical questions. Wasn't Mr. Wurfel a PR flack? He may have facts at his fingertips but I would think his expertise was in communications, not drinking water and all the technical aspects that surround it. The Lt. Governor's January 3, 2016 response to Mr. Agen regarding Rep. Neeley was telling. Mr. Calley (who used to be a state rep.) said, "Most state reps in the minority party spend 6 years in pure irrelevance, so this is just his way of mattering. He is not productive and he is not going to be productive." I wonder if Mr. Calley's "Most state reps..." is about 51% or 99%? By extension, wouldn't that mean the constituents of those reps are also purely irrelevant? The scenario described reminds me of a bunch of "little children" who are doing everything to keep bad news away from "daddy", which indicates a culture of fear and intimidation. I have been writing to the govenor's office about this issue since last summer, so I have to assume the governor did not read citizen emails raising the same concerns. A CEO who runs things that way clearly does not have the competence to protect the people of the State of MI, and his staff clearly don't have the competence to "manage". This has been my contention all along, and the more that emerges, the more firmly I believe that. Is the governor "going to fix this"? No because he does not have the knowledge or staff to do this. At some point and time, the people in the state of Mi are going to have recognize this. A challenge of leadership is having staff that share with you what you need to know and helping them understand what this means. Obviously the Governor and his staff are not up to this challenge. A parallel of the Governors exploration of a Presidential run and his foreign travel for "economic development" purposes and the unfolding Flint water crisis would be interesting. Valeri Brader, a brilliant Rhodes Scholar, Mike Gadola -Now a Judge on the Ct of Appeals and Dennis Muchmore are/were part of a terrific team the governor put together. One of the best cabinets in a long time candidly. To the extent their names come up in this entire story, it is important to say that it would be a tremendous disservice to each of them and any such future advisors, if blame were assigned to any one of the three. The emails in fact underscore that they did their jobs well. The problem that they were tackling however was mammoth and had its roots in decades of systemic State wide neglect and even intentional disregard of all our urban centers in the form of vast reductions in mandated revenue sharing, the Headlee Amendment, transfer of jobs and tax base, urban sprawl, redlining etc., resulting in virtually every one of our cities suffering a fundamental lack of appropriate levels of funding to maintain and improve an increasingly aging and complex infrastructure. In this tea party age of demanding simple answers to complex problems, leading to cries of decreasing taxes and identifying minority scapegoats, we ended up with an emergency financial manager law which sacrificed democracy for the hoped efficiencies of dicatorship. What we have now learned (again) is that dictators with narrow orders, will indeed sacrifice not only democracy, but even the health of our children to achieve their myopic goal. "Power tends to corrupt, and absolute power corrupts absolutely" -Dalberg 1887 Hopefully, the outcome of all this, after the gallows are satisfied with more short term near sighted "solutions", is the EFM law will perish (along with Headlee) and we as voters will return to our senses and allow the democratic process to address these financial and social issues, recognizing the broad approach that must need be taken to correct years of ostrich like neglect and adherence to ridiculous tea party claims that even GOOD government is THE problem and less sharing will somehow trickle down to something good for anyone. 'The emails in fact underscore that they did their jobs well.' Seriously? They failed spectacularly in protecting Michigan's citizens. You disagree? Please tell us. Sorry Mr. Watza but your reply is nothing but male cow droppings. And a shameless apology piece for the "one tough nerd" and his policy of "positive f**k up advancements". Argue that things were so difficult (which they were) and that there was a history of neglect (quite true) and even then it really doesn't get the Governor off the hook. Stuff is difficult and things get neglected. So what? That's not an excuse. Means you have to be extra specially careful but it doesn't give you any slack to cut corners too closely and put people's lives at risk. That is not only lacking compassion and common sense but is also possibly criminal. The core issue is that while using untreated Flint river water was not a good idea at all---against EPA regs and industry practice the proper treatments were not added to the raw river water to make it safe to drink in order to save money. The cost to fully treat Flint water probably included expensive infrastructure improvements that were simply not affordable. There were other options---City of Detroit water was available but at an increased cost. But here is where the Governor's strategy fails. Switching over to Flint river water without adding corrosion inhibitors probably saved the City of Flint about $1,000,000 a month by some estimates. A considerable amount for a City close to bankruptcy. But the problem is that even in the face of obvious red flags, numerous citizen complaints and standard industry practice to the contrary the Governor decided to go ahead with it anyway either by directly signing off or giving subordinates way too much leeway in making critical decisions. Even worse it took a year to "uncover the problem" and fix it. Oddly enough that year was the amount of time for the new local water authority to come on line and begin drawing water from Lake Huron. So it seems that sadly for the residents of Flint the bottom line and an ongoing agenda were more important than the safety and security of 100,000 residents. I don't know about you but that is simply too cold and calculating for me and is why you must be very careful if you try to run government like a business because government just isn't the same because more often than not people's health and lives and futures are in the balance not the bottom line. Running a government is not as simple and straightforward as stamping out widgets, balancing a budget, meeting a deadline or making a deal. The product that government turns out is not widgets but space for people to live their lives in a safe, proper and healthy manner. Any government official who forgets that rule does so at peril to their jobs. "The problem that they were tackling however was mammoth and had its roots in decades of systemic State wide neglect and even intentional disregard of all our urban centers..." Is that a problem? Yup. Is that what caused THIS crisis? Nope. The infrastructure was perfectly capable of safely carrying treated water. The plan of switching to a much more corrosive water source without properly treating it is 100% on Snyder and his administration. That is putting your finger on it. The failure to do so, however, has revealed to the public the inner workings of the Snyder regime which information is just as incredible as the narrow minded determination to be penny wise and pound foolish. We all now know, except for a handful of Snyder stalwarts who seemingly can't admit they voted wrong, that they hired some one who was not up to the job in the first place and now won't give it up, insisting he wants to fix things, when it should be obvious he wants to use tax payer monies to legal defend himself. I see a lot of emails that are relying on the local country for answers. Are we all saying that local county government is not capable of governing? Genesee County was not under the emergency manager law. Also water officials are the ones that test the water locally. If there is a problem, why is it the state's responsibility to yell! The first line of defense is local responsibility and the federal then state. Because Flint is a poor area, there is no responsibility to warn the public? Don't people get paid to check the water quality? Yes, DEQ is responsible too. Genesee County probably has a budget of millions and there are probably state offices there too. Why isn't there a cry for Flint water records and emails? Yes, the DEQ has oversight...but when Toledo had water problems, the Toledo Mayor was saying...don't drink the water. --not the Governor of Ohio. If you were truly an UNBIAS group, you would be asking for local correspondence first. Also, if your water looks bad, don't drink it. My water (Ann Arbor) in some of our bad pipes in the basement, looks brown too--we don't drink it. Have people lost the ability to take care of themselves? Thank you Sue! Yes, do let's discuss local knowledge of the problem. I have seen so much finger pointing - "they" didn't let us do our jobs thinking. I'd like to think a few folks had enough guts who were in the know to go to chain of command and if that didn't work, to skip some layers. My job will be on the line is not an adequate answer when we are talking such risks and problems - how about your ethics and moral character. There are other jobs to seek, but if you are sure of your data, what are your ethics and values? Is this the kind of people we want in such positions of authority locally? I know it is not for me! I have more than once "risked my job" in health care to benefit those in my care. If that is what it takes, so be it. I have never lost my job because of it and did prevent more problems. Let's be the courageous people it takes to do the right thing! A very simple response for a complex issue. As the ship is sinking, what do you do first... bail or fix the leak? Sue, Please reread the Timeline provided by the Free Press as you are missing the county to state to Flint city chain of correspondence. I agree that Mike and Dennis are great individuals. I do not know Valeri. There is a fundamental question about leadership that includes the sharing of important information. Staff can shelter the boss and the boss can close off communication. Leadership required getting beyond this. A struggle yes, but we are seeing the consequences. For over thirty years we have underinvested in our infrastructure. The roads, bridges, and sanitary and storm systems are seen and unseen examples. But the disinvestment in our human capital is perhaps the most problematic. Genesee County is not overseeing the City of Flint water system. The city and state most likely have had their staff resources devastated in the water division. These numbers will come out. IF the Governor and State Legislature care about the local citizens - revenue sharing must be fully restored AND past shortages should be reviewed for addition infrastructure investment. State government has essentially stolen money from local government and all citizens. And this is not restricted to our urban cores. Where I see Sue's point having more power is in how the Federal Government would effectively provide timely oversight. The could provide local resources as happens with certain law enforcement and justice grants. Mr. Schertzing says, "State government has essentially stolen money from local government and all citizens. And this is not restricted to our urban cores." That depends on what he means. If state government had mandated local governments perform some function and included the cost of performing that function in revenue sharing and subsequently cut the funding without relieving local governments of the responsibility of performing the function, then state government has indeed wronged local governments. Otherwise, not. No matter how complex the problem, there is always a simple answer. That answer is almost always wrong. The administration that was in office when all these problems came home to roost was republican. the cuts that gutted State Government occurred in prior administrations,republican and democrat. The Flint city government is democratic. Too many people only want to talk about which party is to blame. The blame culture is responsible for much of the degradation of our government. Who is responsible for the blame culture? When did we discover that fixing blame for a problem was an acceptable alternative to solving it? The clear path is an action plan for resolving Flint's water crisis and the others that are just below the surface. The City of Flint should be responsible for that action plan because it represents the ones drinking the water. The engineering consultants that signed off on this fiasco should have the opportunity to provide all necessary engineering support, and there shouldn't be additional billings. When Flint's action plan is ready, it should ask for a lot of help. It should get it. The State should demand infrastructure assessments from all the cities to find out where the next problems are coming from. We need to get back to supporting local communities in sustaining safe water supplies. Every utility director should know that a State official will attend his city council meeting and his infrastructure assessment will be discussed. The State's budget needs to be supportive of this activity. These are necessary government functions and need to be paid for through water rates and taxes. Prior cuts need to be restored. Snyder didn't know until Oct 2015. That is what he told CNN on the air on Jan. 28, 2016. In all of this flurry of emails among Snyder's top advisors, did they ever include the governor as at least a cc? With the increasing number of news stories about Flint water during 2014 and 2015, did the governor inquire among his staff about what was going on? Who on the staff had the authority to determine when an issue was important enough to inform the governor? My guess is that would be too many emails for any Gov to read. I'm sure at any one time in the past few years he was juggling dozens of issues, each of which had hundreds of emails between staffers. I wonder why there aren't more emails involving the DEQ and DHHS directors. Are those being held back? These emails seem like a huge case of "passing the Buck!" Well, even though these staffers seemed to want to keep the Gov protected from the "Flint Diaster." Our one tough Nerd and his herd forgot the lesson taught by President Harry Truman when he kept a placard on his desk that said "The Buck Stops Here!" Well Snyder's desk is where the Buck Stops and he will have to pay the price for his staff and his Radical Republican state government's placing saving money over the government's number one job "To Promote the General Welfare." If this doesn't make it clear that one party rule for long periods of time are detrimental to the average citizen of Michigan nothing will.